Even before adolescents with disabilities are ready to sample different work experiences in the community, there are opportunities for them to get some work experience right in their own school buildings. This is an important first step in understanding the adolescent’s strengths and challenges within different types of work. Strengths can be built upon and challenges minimized before work experiences in the community begin. Know this and more with this training. Much of the research and documentation of autism revolves around diagnosing children and autism's impact on the tasks of childhood. 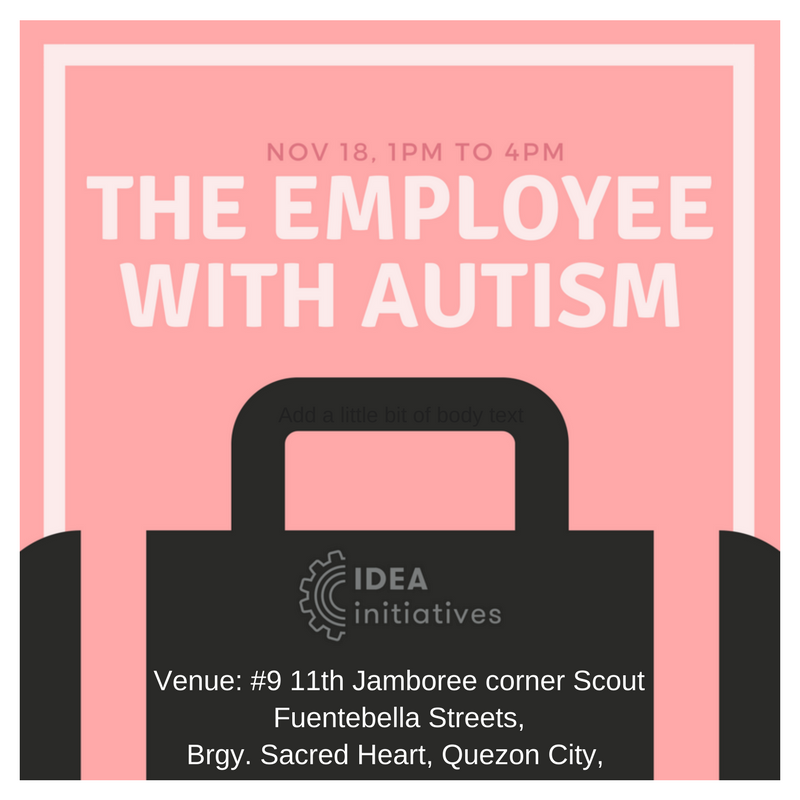 This time, IDEA Team explores aspects of Autism that are significant for adults and how they relate to employment. After graduating in 2014 with a Bachelor’s Degree in Occupational Therapy from the University of Santo Tomas and earning her PRC license on the same year, Teacher Kat has worked in Philippine Cerebral Palsy Inc., a non-government organization that serves Persons with Disability across Metro Manila and Visayas. 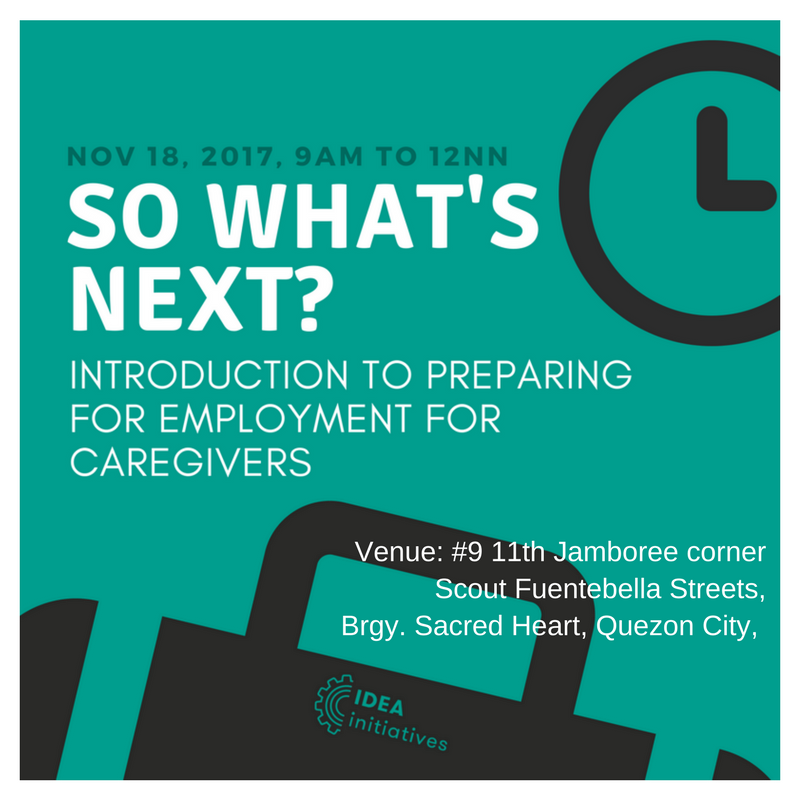 Throughout her 3 years of practice as an OT, she has coordinated several events and seminars outside Metro Manila to promote awareness about intervention and inclusion of children with neurodevelopmental and neurologic conditions in schools and communities. Under PCPI, she also serves as a clinical supervisor for Occupational Therapy interns from a number of schools in Luzon and Visayas. In her hometown of Antipolo City, she is an OT consultant working pediatric and adolescent clients at Milestones Therapy Center. She is also one of the certified Cognitive Behavioral Therapists here in the Philippines by CBT Australia. 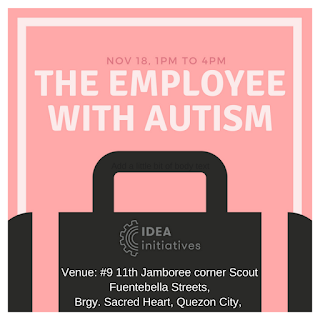 After taking MA SPED units from UP Diliman, and practicing as a SPED Consultant in the Philippines, the founder of IDEA went on and honed her craft in assessment, prevocational and vocational training under Autism Association of Singapore - Eden School in Singapore. She is the former project consultant of Project Inclusion, supporting more than 100 PWDs to have access to work. 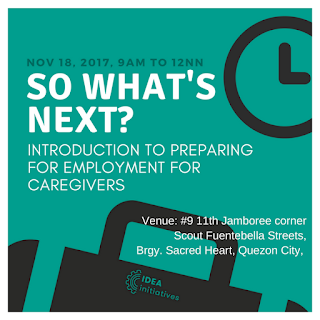 Now, together with the IDEA team, she works with companies and organizations in making inclusive workplaces in the Philippines possible through supported employment, transition planning and job coaching. Krystel holds a Certificate in Autism from Autism Resource Center Singapore, and a Certificate in Job Coaching from University of North Texas - Workplace Inclusion and Sustainable Employment Program. She is also a Life Coach of Organizational Change Consultants International (OCCI) Center for Learning.